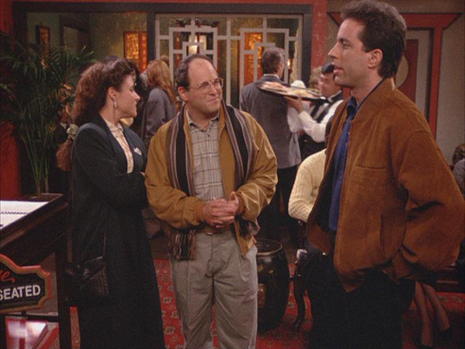 "The Chinese Restaurant" was the 17th episode of Seinfeld. The episode was the 11th episode for the show's second season. It aired on May 23, 1991. It is considered by fans and many of those who worked on the show to be the first "classic Seinfeld" episode. Its trivial subject matter, waiting for a table at a Chinese restaurant, is emblematic of the series' "show about nothing" profile.